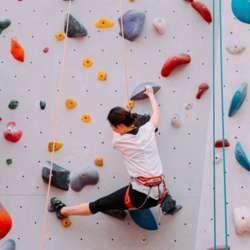 I would like to organize a private beginner indoor rock climbing course with Kletterherz and would need a group of 6 people. I attended a Schnupperkurs with Kletterherz the end of last year and really enjoyed it - and would now like to take it further. I am looking for like-minded enthusiasts to also join the course and I suggest we meet up first to get to know each other and discuss details, possible dates etc. over a drink.